Been awhile since I have shared some links with you and, since I am on vacation this week, thought it would be a good filler until I get back. Gear: Prime lenses can be confusing to photographers if they started out with kit zoom lenses. Kent Weakley shows us 5 Ways to Maximize using a Prime Lens. Photography: You knew I could not resist tying in my vacation with a couple of these links. I will be attending Star Wars Weekend today and could not pass up this link: A Jedi Knights Guide to Photography. Read it or read not, it is well written and full of good advice. Editing: The hardest thing for us photographers to do is to delete a photo. Even if we can save one, the time involved may not be worth it. I happen to agree with Lara White when she says, Keep the Best, Delete the Rest, and watch your photography improve. eBook Review: I will be using this ebook to capture some of the author’s 10 Must Take Photos in the Magic Kingdom this weekend. The photo below is one of them. The classic Cinderella Castle photo in the Magic Kingdom at Walt Disney World, Orlando, Florida. Click, read, learn, try and share everyone! See you next week! 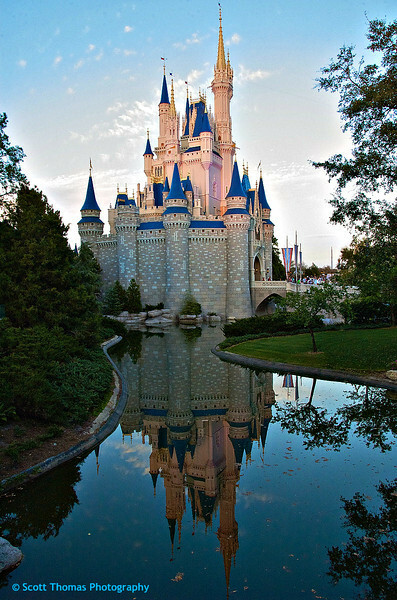 This entry was posted in Photography and tagged cinderella castle, ebook, editing, florida, forced perspective, gear, inspiration, links, magic kingdom, moat, orlando, photo, prmie lens, review, walt disney world, water. Bookmark the permalink.